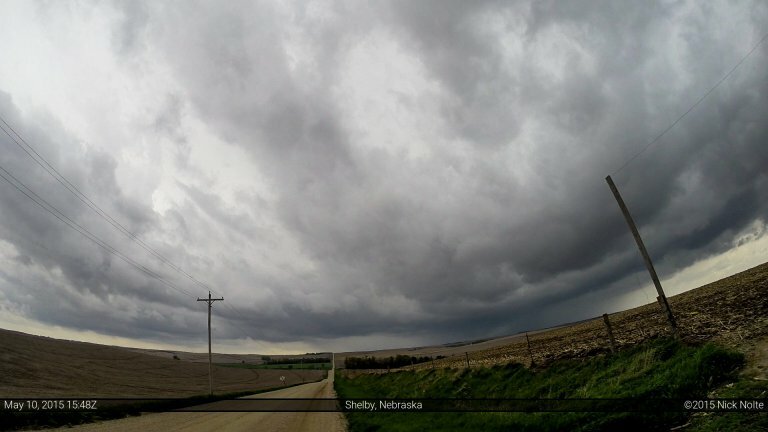 May 10th was the last day of my 5 day mini chasecation and although there was an enhanced risk of severe weather along the Missouri River into Iowa, having to work the following day limited how long I could hang out in the target area. Nevertheless, it was on the way home and I may as well give it a shot. SPC had outlined two areas of enhanced risk, along the Missouri River from Sioux Falls through Iowa and the southern target in Texas near the Dallas-Fort Worth Metroplex. Obviously with work the following day I was playing the northern target. As such, my plan was to head north from Kearney and mosey east along the US 20 corridor. I left Kearney shortly after 14z and the target area was socked in clouds. Interestingly enough as I turned north onto US 81 at York a tornado warning was issued near Delmont, SD just before 1530z. 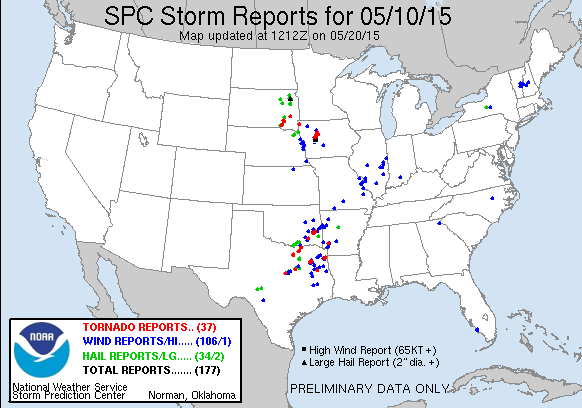 They ended up having a rather significant EF-2 hit that town before 11am in the morning. I continued north on 81 and cells began to develop shortly before 17z right over top of me in Northeast Nebraska. 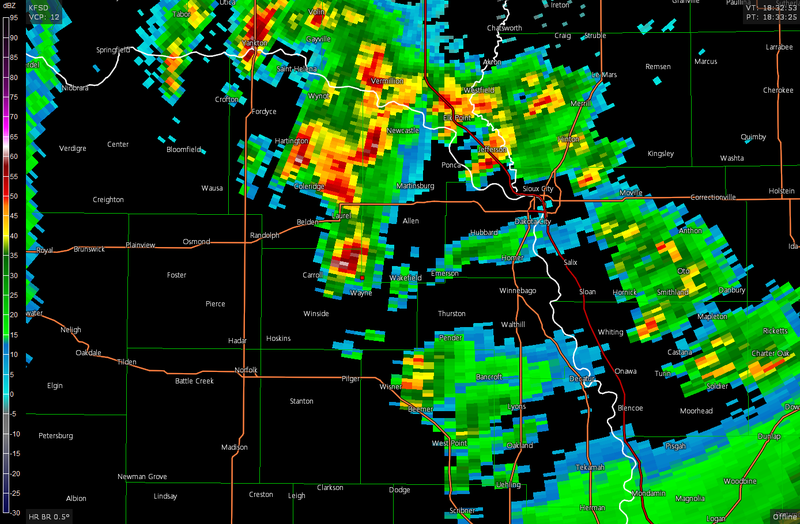 And the radar presentation wasn’t much better, just a mess of storms had gone up in the tri-state area. Shortly after that radar grab I punched the core of the storm as I drove into Laurel and was completely pummeled with heavy rain and quarter sized hail that lowered visibility down to about 10 feet. 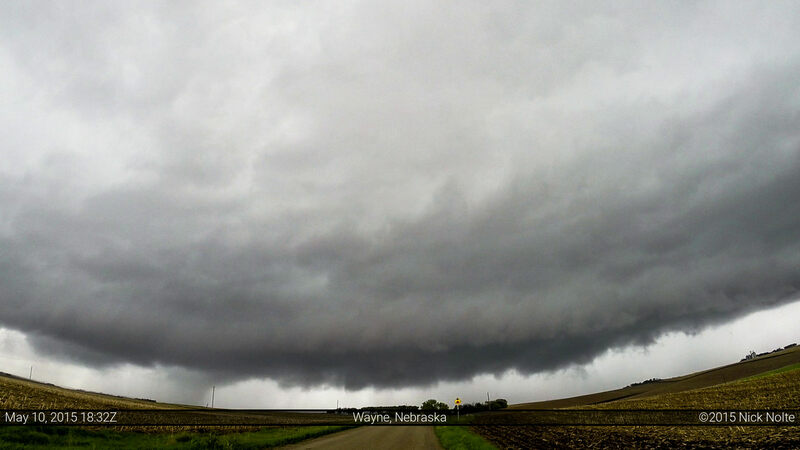 After getting through that I blasted east along US 20 to catch back up to the storm as it headed off to the northeast. 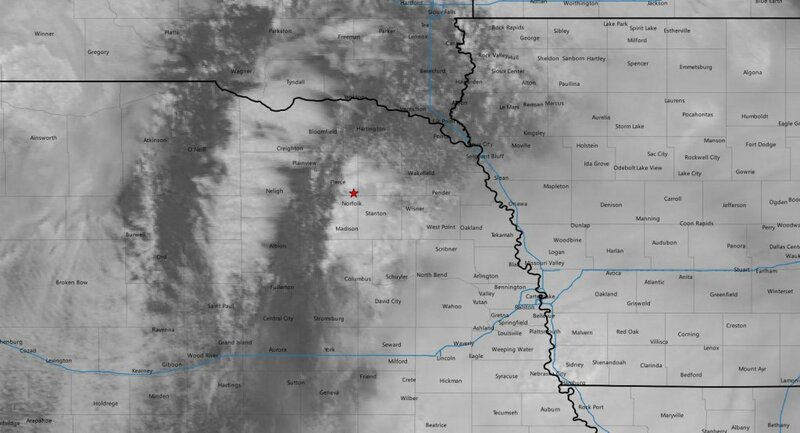 This was my last chance to see anything on this storm as I was quickly approaching Sioux City and the confluence of the Big Sioux and Missouri rivers and US 20 would be my only way across the river. I arrived in Sioux City at 1930z with the storm I had been following well off to my north now and basically unreachable. I decided to give up on the storms to the north and begin a leisurely trek eastward along US 20 towards home. Of course, not 15 minutes later, the storm I had been following before crossing the river went tornado warned north of Elk Point. I was 30 miles away from it and it was moving away at 30 knots so I didn’t give it a second thought. Fellow chaser Brad Goddard was on it and later informed me that I wasn’t missing anything. After heading east on US 20 for a couple of hours and nothing but scattered rain going on I decided to call the chase and begin the long trek back to Michigan. I passed Rockwell City around 2130z and it would only be three hours later a rather good sized EF-1 tornado would pass just a couple miles south of US 20 between Lake City and Rockwell City.